Nema Enclosures offers many high quality electrical enclosure features. A few are listed below. 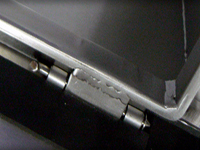 Easy Installation - Concealed door hinges are generally a lot easier to install than a traditional door hinge. 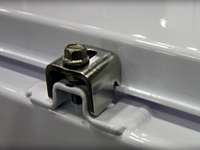 Most of them are made to simply clip on and off, allowing you to install them without any tools. 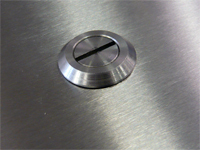 Increased Security - three-point locking enables the top and bottom of the door to be simultaneously secured in addition to the point where the handle is turned. 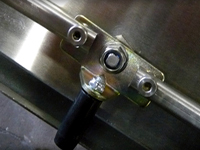 This is accomplished by attaching two long steel rods to the lock on the inside of the door, which extend vertically upwards and downwards: when the lock is turned, the rotary movement of the latch on the inside of the door translates to vertical movement in these rods, with the result that the upper rod moves upwards by an inch or so, and the lower rod moves downwards similarly. 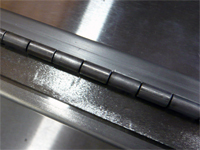 This effectively immobilizes the top and bottom of the door, and greatly increases the security of the door-locking compared to a door with only single-point locking. 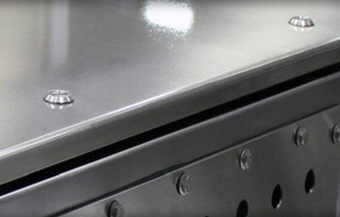 Nema Enclosures designs and manufactures standard and custom electrical enclosures with the highest quality carbon steel, 304 stainless steel, 316 stainless steel and 5052 aluminum. Nema Enclosures produces high quality electrical enclosures in wall-mount, free standing, floor mount, junction box and trough types. All electrical enclosures are designed and manufactured in compliance with NEMA standards; are UL listed, and/or IP rated. These versatile, safety-rated electrical enclosures are designed and built to be used in either indoors or out in various industries and in a variety of environments. Used in food-processing plants, pharmaceutical manufacturing facilities, petrochemical plants, pulp and paper processing and waste-water treatment facilities, water treatment facilities, food processing plants and packaging applications. 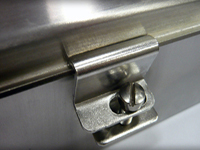 These stainless steel or carbon steel electrical enclosures featuring durable quarter-turn latches are designed to house electronic controls and components. Combine a seamless gasket with stainless steel screw-down clamps for a consistent and reliable seal while the cover is easily removed for access and modifications.